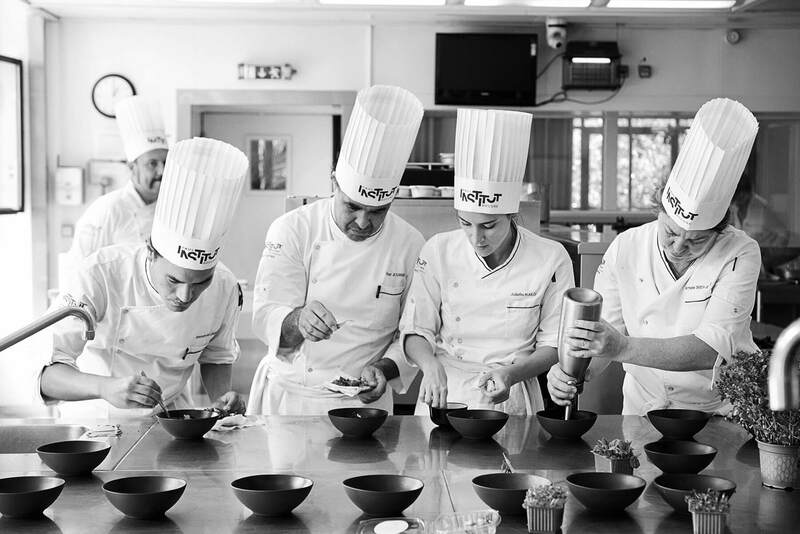 Institut Paul Bocuse trains more than 1,000 students each year, representing 55 nationalities studying on 10 international campuses. From undergraduate through to doctoral level, our courses benefit from an innovative teaching approach recognised by the 2017 Worldwide Hospitality Awards. Our Institute is also a member of the elite Conférence des Formations d’Excellence du Tourisme (CFET). For more than 28 years, the Institute’s vocation has been to share our expertise and know-how internationally, supporting development projects in numerous countries upon the request of public or private institutions. 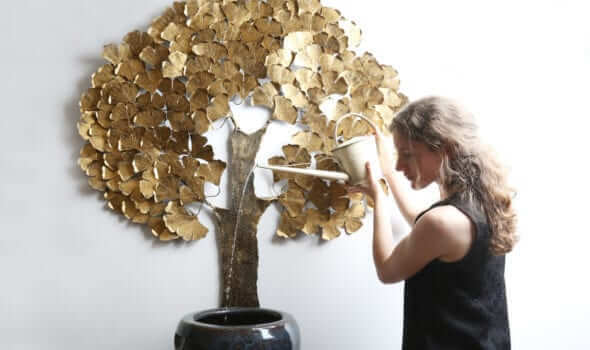 We’ve built our development strategy upon an educational hub created in partnership with the best schools and universities in the world and our network of several thousand alumni located in more than 80 countries across the globe. 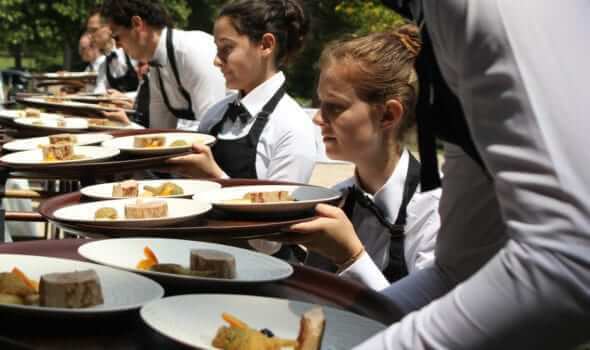 Our training restaurants (Saisons, l’Institut and Expérience F&B), as well as our 5-star training hotel (Le Royal) offer a unique opportunity for our students to put their skills to test in real-world situations faced with a highly demanding clientele. Our Center for Food and Hospitality Research plays a major role in identifying future practices in the field of hospitality, food service and culinary arts management. 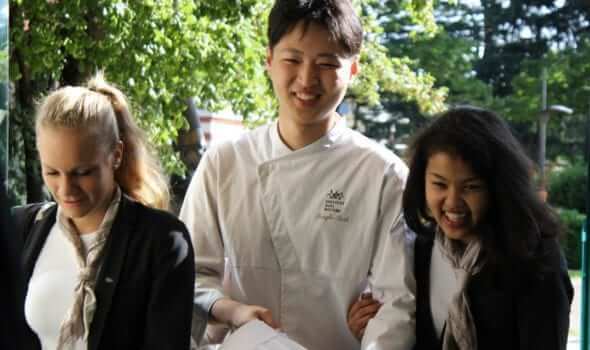 Unique among the major international hospitality management schools, it focuses on studying the relationship between humans and food according to three main complementary themes: health/wellness – taste/pleasure – economics/management. 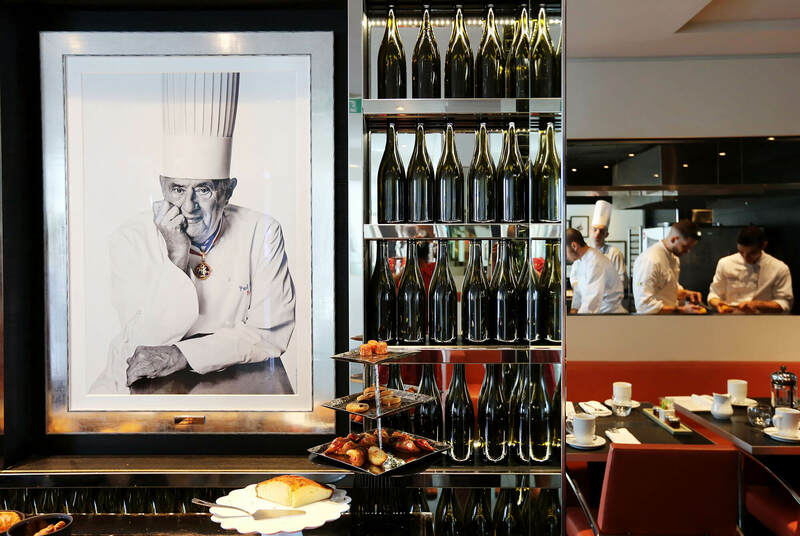 A melting pot of talent offering technical, managerial and scientific expertise, Institut Paul Bocuse is a trusted training partner of businesses in the hospitality industry. We offer solutions that support innovation and the development of individual and wider workforce skills through audits and consultancy, executive education and career retraining. Our Gourmet Culinary School brings out the talent in lovers of cooking by offering workshops that cover a variety of interests, from cookery to bread-making, pâtisserie, wines, coffee, tea and cheeses.